The elephant stated is not so much referred to as the animal, but to the animals size. What my dear old Dad was saying, was that anything in life can seem like a huge challenge. Whether it be the big stuff like a new job, a new school, an operation, driving, uni or an interview, to even the small things like, doing an essay, a presentation or exams. All those and more can send nervous shivers through our body making us feel anxious and worried. Worrying about the future doesn’t change anything by the way. In fact it causes us to be unhappy in the present, when there’s absolutely no point as we can’t control the outcome of whatever it is we are worried about! We just have to do our best in the moment. So here’s the good news…When something is looming over you and its bringing out all the nervous signs, don’t think about the entire picture. Take it one step at a time. Maybe six or seven years ago I was on holiday in the Lake District with my family and they decided that we needed to climb Sca Fell Pike. 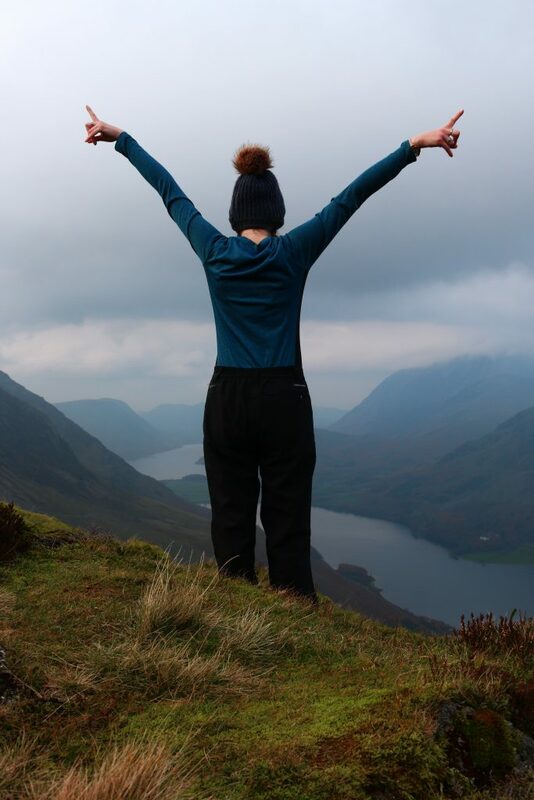 To anyone who, like me, hasn’t got a clue about geography, it’s the highest mountain in England, but not the United Kingdom… Anyway I wasn’t a fitness enthusiast, so the thought of climbing the highest mountain around, made me reach for an inhaler. It was seeming like a mountainous problem (too soon?) The prospect seemed daunting and once seeing it in the flesh I volunteered to wait patiently in the pub. But Dad said those wondrous words and I decided to give it a go. As we started to climb, I started to think not about the massive hill in front of us, but just the next step I was going to take. Before I knew it I’d come quite a long way. I am currently in the Lake District, so this was all bought back to me when on Monday I decided Tom and I should climb Haystacks. That’s the name of a fell, not literally haystacks! I had come across pictures on instagram, and it didn’t look too bad. I had imagined it being more like a small hill. However, when we arrived it was certainly no hill! But just like when I had looked at Sca Fell Pike all those years ago, and felt myself doused in worry, I decided to take it one step at a time. Don’t get me wrong, we stopped pretty much every 10 seconds because I was out of breath or my legs were burning, especially my quads! (Oh my Quad! is what I’d say every time we stopped!). And Tom was a true hero, never once complaining that I had stopped yet again for the 1000th time, and even dragging me up a couple of bits! 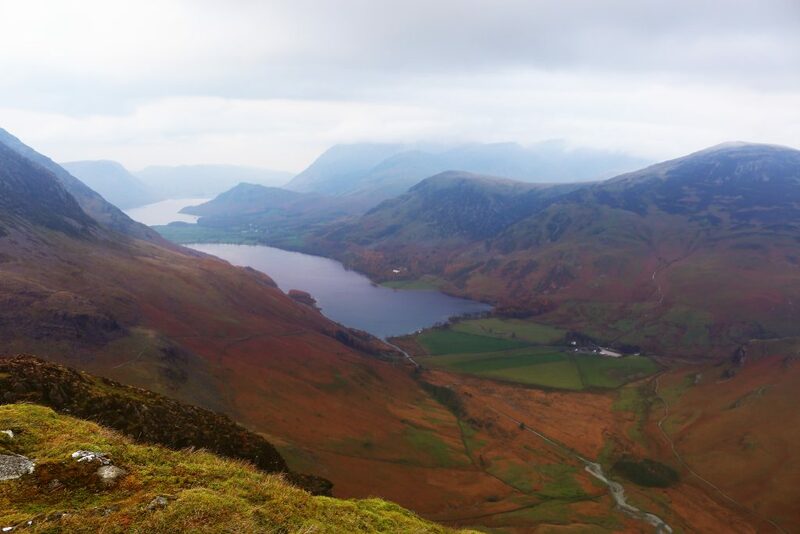 Over two and a half hours later, we reached the top of Haystacks. Oh boy was it a view! I was so incredibly PROUD of myself that I had climbed to the top, and when I say climbed we literally had to grab hold of rocks and pull ourselves up a few times! We were the only people up there, and there was a moment when everything was still, not even the wind was rustling, and I took that moment to be incredibly grateful for my health. This time last year, I struggled walking around a lake, the wheeze in my chest provoking long spouts of coughing fits, the taste of blood tainting my throat. The year before that, I struggled walking across a field. So in that moment of stillness I stood at the top of a 1900ft tall mountain, and smiled. Now the fact that we were the only people up there should’ve been a sign, or perhaps the fact we kept passing people descending when we were ascending was a clear sign too. But the reality hit us all too soon. It’s November. It gets dark at 16:30. So starting a walk at 12:30 was not the best idea. That’s right folks, we were 1900ft up and it was almost 16:00. We decided to carry on with the walk, instead of just retracing our steps home. This, perhaps, was a big mistake. Walking down a mountain in the fading light, when you have NO idea where the path is that will take you home is pretty intimidating. Thank God for head torches. We managed to find our way onto a path which was made up of very loose rocks and shingle but it seemed to be heading down. So now walking in pitch black, the path started to become narrower. To my right there was the side of the mountain, to my left, a sheer drop. There was a moment when I took my eyes off the path and glanced to my left. I froze. Literally froze and felt my stomach turn, my heart racing. To put things into perspective, if two of me stood side by side the other would’ve fallen down into a black abyss. Even when I shined my head torch over, it didn’t illuminate anything. The path was narrow and I had already skidded on a few rocks a couple of minutes before. But now I could not afford to place one foot wrong. Walking down a steep slope did not make this easy, but I kept telling myself to take one step at a time. How do you eat an Elephant, Kate? When we did reach the bottom my heart dropped. Fear crept into my voice as I asked Tom, where now? The path had led us to a river. Fortunately we were on the correct side of it but even so where were we supposed to go?! So of course, being extremely experienced in orienteering (or perhaps just using common sense! ), we climbed up a little and to our very great relief we found an actual, real path. We both laughed in relief. I think I could’ve cried. 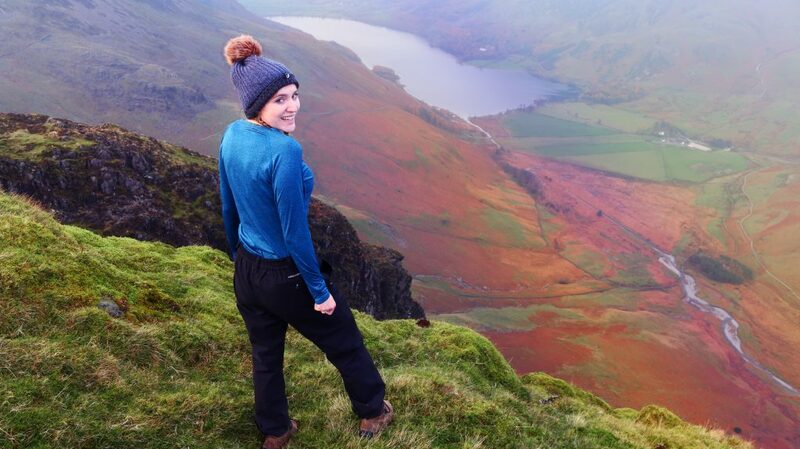 So firstly, I’d recommend that if you were considering scaling a mountain in November, perhaps start at 9am. And secondly, whatever it is that’s worrying you, whether you’re preparing for an operation, or an interview or even training for a marathon, then instead of focusing on the entire picture, which can seem like a mammoth challenge and very intimadating, then just focus on the next step. And then the next. And the next. And the…well you get the idea! 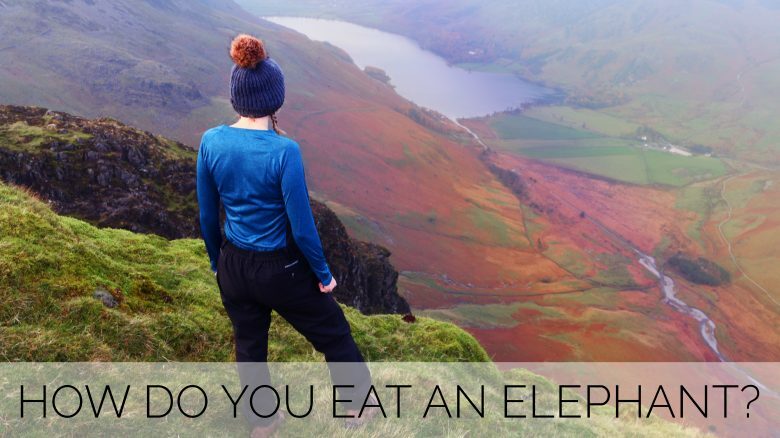 So how do you eat an elephant? One mouthful at a time.